Summer is here and fresh mint is now available in abundance, so I thought a mint recipe is just what’s needed! 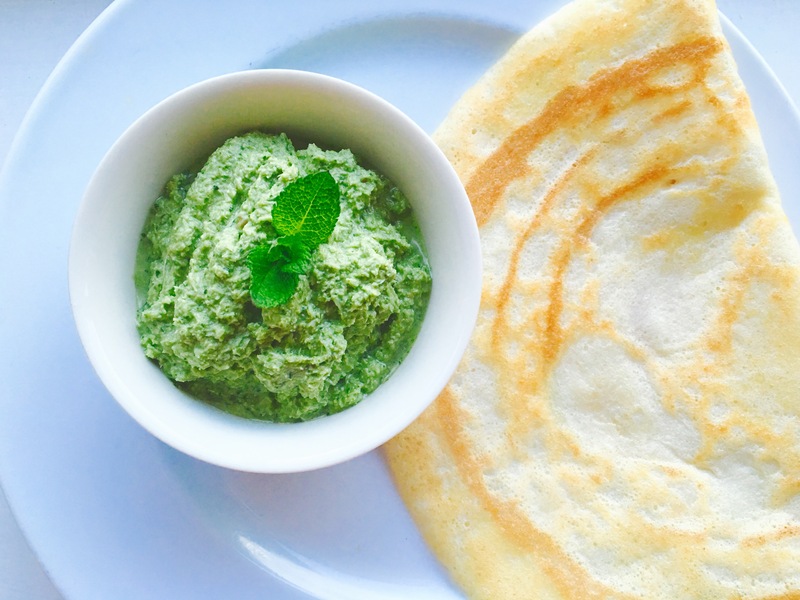 Presenting the Fresh Coconut, Mint & Coriander Chutney! 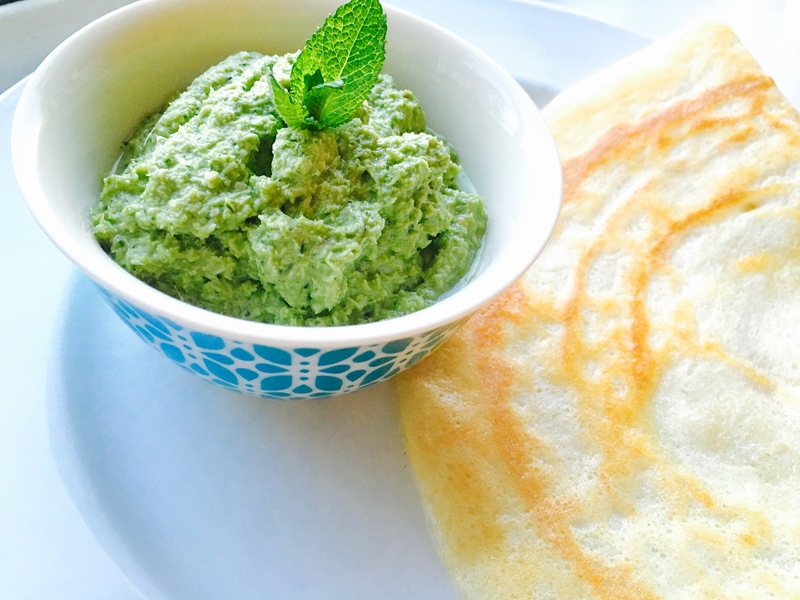 I enjoyed mine with some crispy Dosa & steamed Iddlies this morning and loved it! You could also use it(along with some other fillings) in a wrap/ sandwich if you like. The concept of a Chutney is very different here in the UK, I was surprised that most Chutneys here are sweet & tart with a sugary taste! I recently found out that the Anglo-Indian counterpart is made more with seasonal fruits and sugar, as here in the UK. The sweet Chutneys are an acquired taste, I suppose, if you are like me used to a traditional Chutney – there is just no substitute to a good South Indian Coconut Chutney with fresh herbs! The idea of Chutney originated in South Asia (India & Sri Lanka) and its mostly a savory condiment. Lastly, I’d like to point out that most of these Chutneys are fully raw so there is no cooking involved! All you need is a strong food processor! You could also add a simple tadka to your Chutney (I skip this step mostly) this adds to the the flavor & texture. I recommend trying it once with and without a tadka. If you enjoyed reading this post, please follow my blog! I would love to keep you updated with my latest recipes & cooking adventures 🙂 Thank you in advance!